Broiltech Low cost pressure transmitter : BT TP 1100 is very economical pressure transmitter available in indian market with 0.5% accuracy. 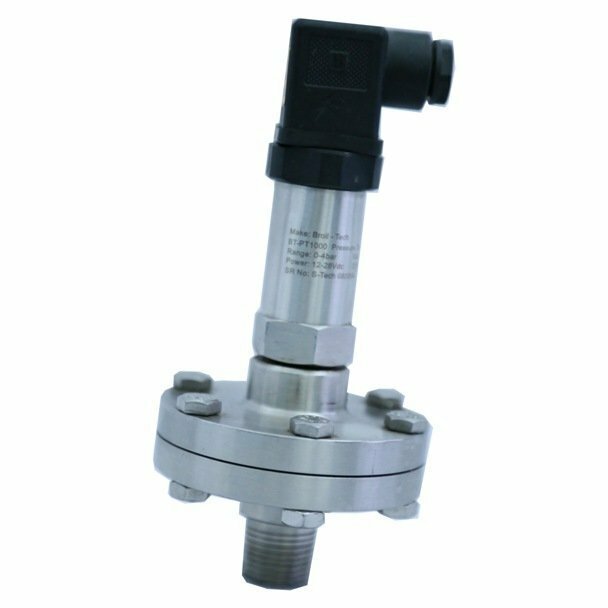 BT PT 1100 pressure transmitter is very best for OEM application, its very best for air, gas and liquied application. BT PT 1100 pressure transmitter is CE certified product. BROILTECH design many model of pressure transmitter as per customer application wise, and all model available with competitive price with high quality technology.